All files are delivered digitally. 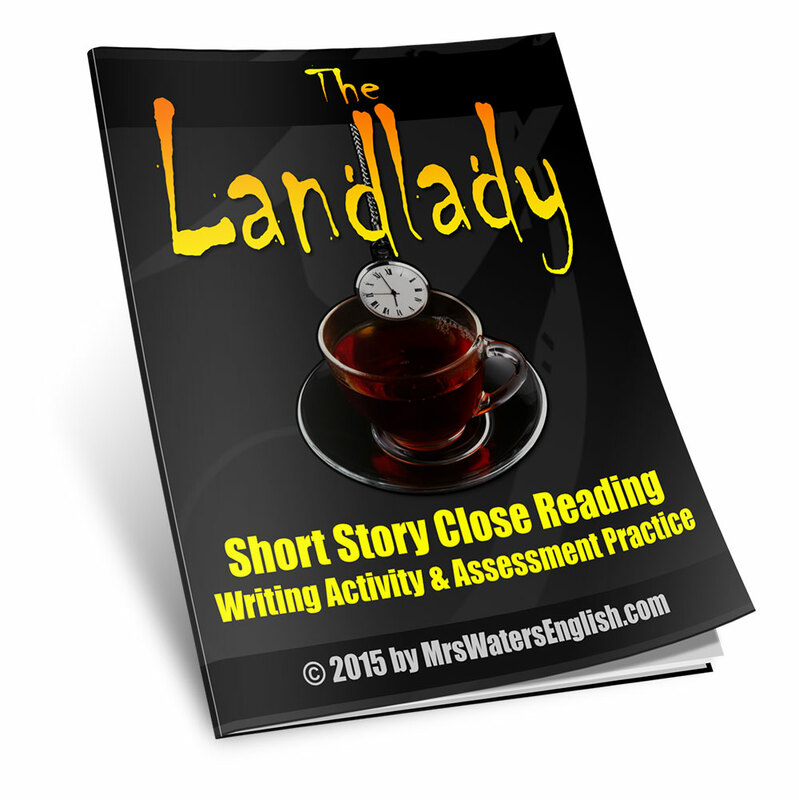 Your students will love reading The Landlady by Roald Dahl as a class. My eighth graders were mortified and enraged at the close of the story. It’s perfect for Halloween! 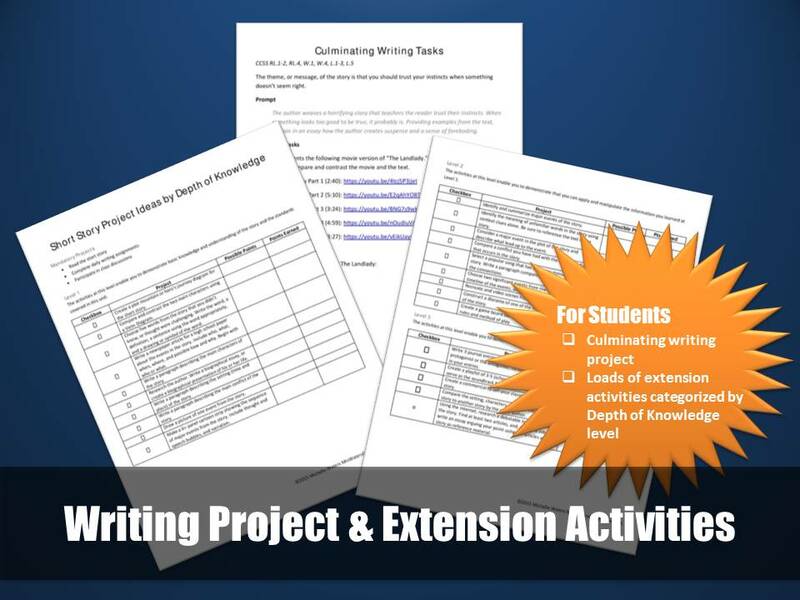 This short story resource is designed to help students analyze a complex work of literary fiction. 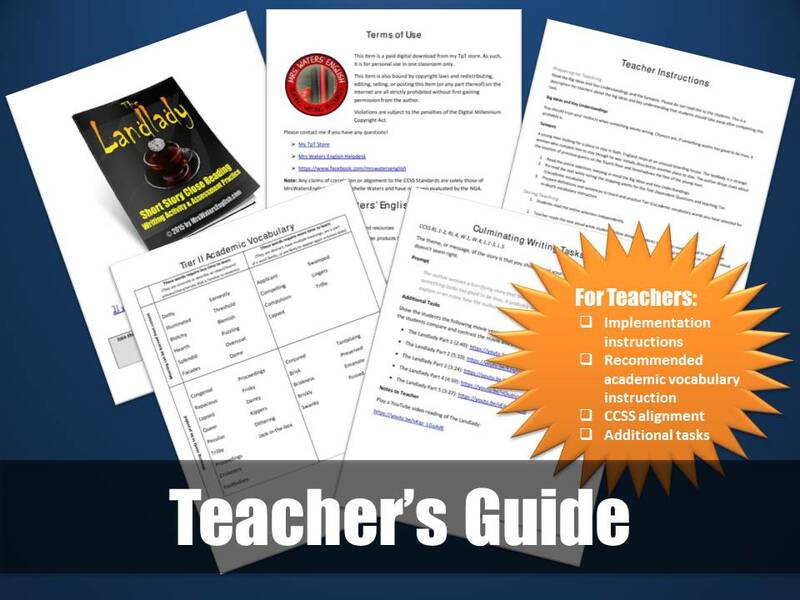 Specific questions presented in an assessment practice worksheet guide students through the process of analyzing the plot, characterization, setting, and theme of The Landlady by Roald Dahl. 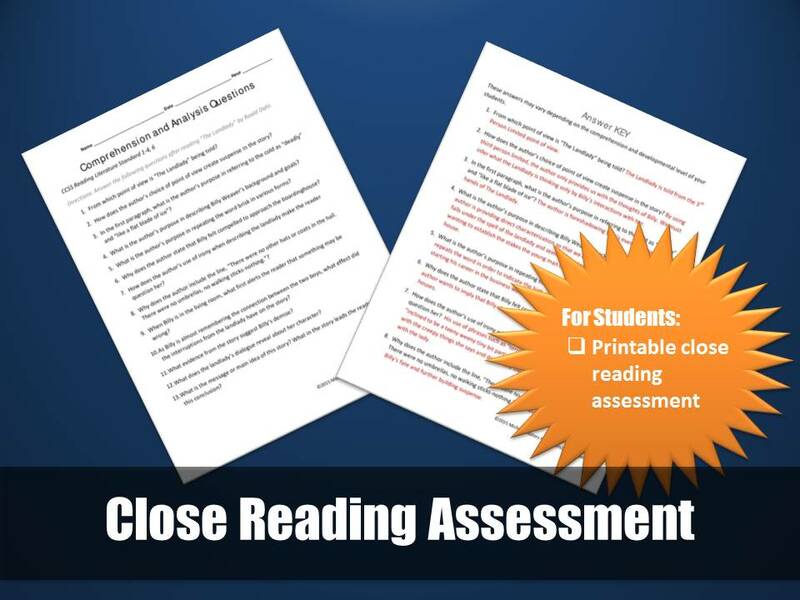 that will help your students improve their close reading skills?